Space: 1889 & Beyond – is here! Well, it’s taken a lot of work and a lot of time, but I can announce that, at long last, Space: 1889 & Beyond is live! 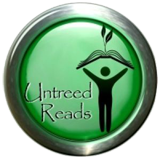 All Material is copyright Frank Chadwick, Andy Frankham-Allen & Untreed Reads LLC 2011. All rights reserved. The year is 1889, and man is in space! The year is 1889, and mankind is out among the stars. For almost three decades man has explored the Inner Planets, but still they seem to be very uninterested in what’s on their doorstep. Namely, the Earth’s moon – Luna! 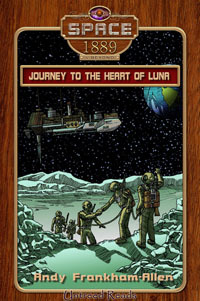 Two men, however, have shown unprecedented interest in Luna; crazed Russian scientist, Vladimir Tereshkov, and American inventor Doctor Cyrus Grant. Problem is, both men have gone missing. A distress call is received from Luna, sent by Dr Grant’s niece, Miss Annabelle Somerset. The British Government has been waiting for an excuse to mount a mission to Luna, to investigate the Russian interest in that rock, and so they launch the new aether battleship, HMAS Sovereign, and enlist the assistance of scientist Nathanial Stone, friend and ex-colleague of Dr Grant. He stepped off the train at Dover into the bright morning light. Certainly Nathanial believed in starting the day early, but six o’clock was just on the wrong side of early for him. Now it was some time past ten o’clock, and the sun was blistering in the clear blue sky. A gig was waiting for him. The driver, no doubt hired by William himself, took Nathanial’s cases and placed them in a small compartment at the rear of the gig and then joined Nathanial inside the little carriage. Nathanial was offered a small blanket, with which he covered his legs, before the driver took the reins. As the horse pulled the gig, Nathanial returned to his thoughts. Nathanial shook himself out of his thoughts and looked to where the driver was pointing. It was quite a sight. Despite his work on aether flyers, he had never been very close to one. He was more suited to land travel; he did not care to remove his feet from solid ground. He had seen many lift off from the yard, of course, but to him that always seemed a little sterile, like seeing a mouse in a laboratory, but this… This was seeing a flyer in its natural habitat. Most of the flyers Nathanial had witnessed in construction had been Navy craft designed for the aether, but the one lowering towards the embarkation platform was of Zeppelin origin designed for atmospheric flight only. It was a familiar design, being the most widespread; a large dirigible filled with hydrogen beneath which hung the gondola, a sternly made unit held in place by a latticework of cables and wires. The platform itself was immense in its size, built at the edge of the cliff, some 351 feet above the water, a scaffold of wood and steel. Nathanial was no swimmer, and the prospect of standing on the platform filled him with dread. But according to his orders he would meet his contact on the Zeus, the aerostatic flyer ahead of him, and so he had very little say in the matter. The driver guided the gig through the crowds that had gathered to watch the flyer in action. People who could never hope to afford passage on such a ship, but nonetheless took some pleasure from watching the flyers come and go. Dover Cliff was a busy area, from what the gig driver said, always some flyer coming into land for the “toffs” to go off on their jaunts. Nathanial said nothing about this slight, and just hoped the driver didn’t consider him of the toffee-nosed persuasion. After all, he heralded from Putney, and there was nothing supercilious about that parish. Genius had its rewards once known, and he was benefiting from such now. He glanced back at the crowd, and was warmed by the simple pleasure they got from watching the Zeus come to rest by the platform. It was a timely reminder for Nathanial; he would never take the life he had fallen into for granted. You can now buy this book directly from Untreed Reads Publishing, or at any Apple iBookstore, as well as OmniLit. Over the following weeks it will slowly become available through any retailer that sells eBooks.